The international military-technical forum Army-2016 opens in the Moscow Region. 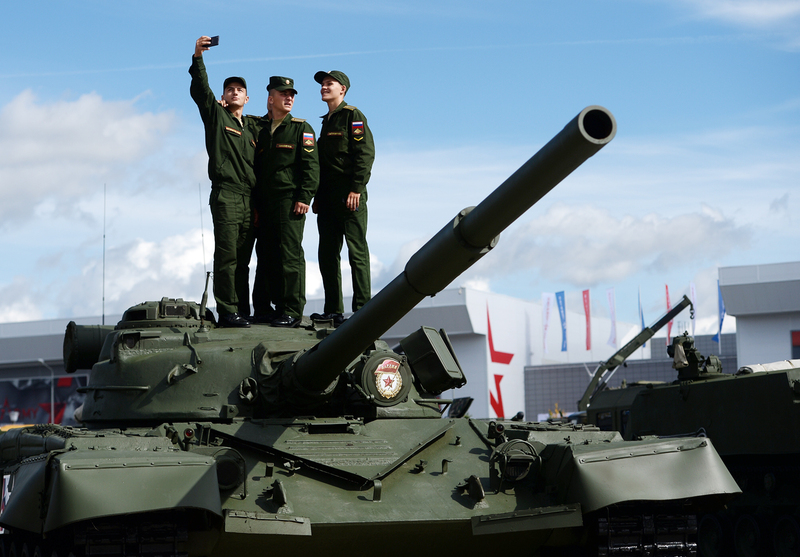 More than once thousand companies will display more than 11,000 samples of weapons and military equipment at the international military-technical forum Army-2016, opening at the Patriot theme park near Moscow on Sept. 6, the Russian Defense Ministry said. This year’s forum will be held for a second time and last till Sept. 11. The demonstration program will be held at three clusters. The latest models of planes and helicopters will be displayed at the Kubinka airdrome, while the ground and water clusters will be located in Alabino. By tradition the first day of the exhibition is reserved for personal contacts between military specialists and representatives of the military-industrial complex. Participating in the forum, alongside Russian manufacturers, will be companies from Germany, India, Israel, Ireland, China, Malaysia, Thailand, France and Switzerland. As the Defense Ministry has said, a total of 107 countries had been invited to participate. Eighty six of them confirmed participation and 45 plan to send official delegations. The newest planes and helicopters, including Sukhoi-30SM and Sukhoi-35S fighters, multi-functional bomber Sukhoi-34, combat training plane Yak-130 and helicopters Mi-28N and Ka-52 will be shown at the Kubinka airdrome. On the ground the visitors will see the newest transport plane Ilyushin-76MD-90A, and strategic missile carriers Tupolev-160 White Swan and Tupolev-95MS Bear. The aerobatics show will feature the Russian Knights, Strizhi, Falcons of Russia, and Berkuts teams flying Sukhoi-27, MiG-29 and Sukhoi-30SM planes and Mi-28N Night Hunter helicopters respectively. The latest achievements in space technologies will feature prominently on the program. The state-run corporation Roscosmos will show what the industry’s leading manufacturers are working on, including the model of a solar energy-driven aircraft La-251 Aist from the Lavochkin design bureau and a real size model of one of its components. The space rocket center Progress will display mock-ups of the space rocket Soyuz 2.1v and spacecraft Resurs-P, Obzor-R, and Aist-2D, and the VNIIEM corporation, mockups of the satellites Kanopus-V, Lomonosov, and Ionosfera. The center for the operation of surface space infrastructures will introduce to the visitors an inter-active model of the Vostochny spaceport and the Khrunichev center mockups of the family of future space rockets Angara, including Angara-1.2, Angara-A5, Angara-A5P and Angara-A5B. Also, visitors will be able to see a mock-up of the new generation manned cargo spacecraft Federatsiya and new generation spacecraft from the space rocket corporation Energia.